Infinite Tape Loops: People is one of those rare disseminations of time, where the aural answers to the question(s) linked to our limited lifespan start to make more sense than all theory that could have been written. Andrea Porcu, label head of ROHS! 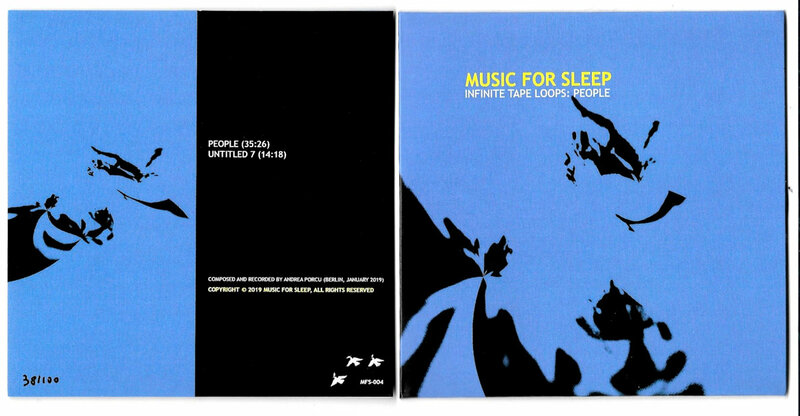 Records and also known under his moniker Music For Sleep has provided us with a very rare gem, in all its simplicity. People reminds strongly of the depth of wonder, strength of inquisition, and relentless consuming sadness found in the works of The Caretaker or Biosphere’s Substrata. The ongoing, melting, blurring tonalities, where no end and no beginning is known, has found me at a specific point in time/life/becoming where I just needed this amount of bluntness to carry on living. "People" is a reminder to a great bygone music era. An instant favorite.